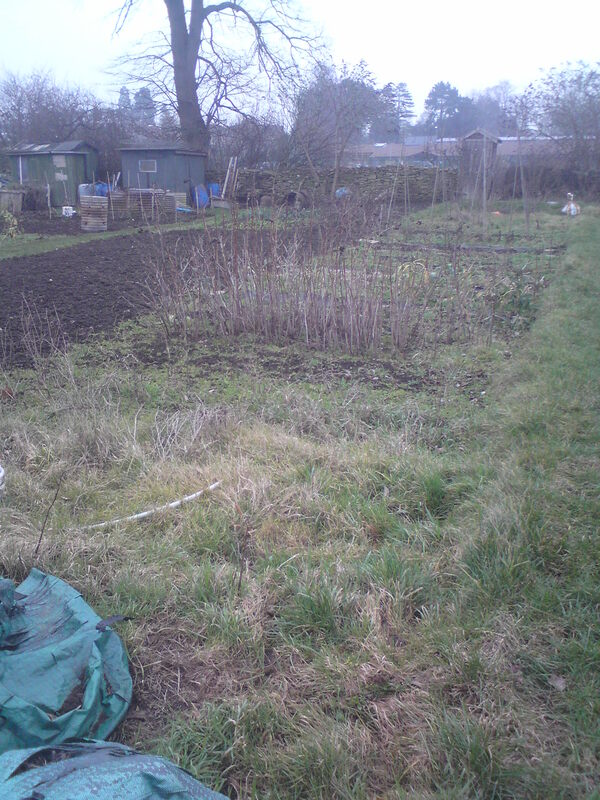 After about five years sweat, toil and tears, I have moved allotments. Not completely, but just from one end of a field to another. I have left my five pole square to move to a 7-8 pole which comes with a small, top-heavy and precariously wobbly shed. It’s fairly overgrown in places and I feel like I’m starting from scratch. But it also has loads of fruit bushes and trees – most of which I don’t recognise. I’m actually quite excited about seeing what comes up and plan to invest in a petrol strimmer asap as my cordless one just isn’t up to the job. Here’s what it looks like now: (mine is the overgrown one on the right). Wish me luck and fine weather.